Who will upvote my posts when I am new on STEEM? Here are some easy ways to get votes on your posts on STEEM no matter how old your account is. Use the PAL $upvote command every 30 hours and Boom! They vote for you! When you have @steembasicimcome on your team, you get upvotes. People give this away all day, every day. They upvote if you post good posts – like you do! Download, and get on it. Scrooger and Oleg can be you best friends! Visit their posts each Monday and do all the things. Then you will get votes. Do all these things or tell me why not in the comments. I want to hear from you and there is a bounty on this post, so you should give me a comment! Here is my older series of minnow tips posts if you struggle here at steem. Find all kinds of help for new people. Definitely worth clicking every link! How is your journey to better health going? Is your fitness equipment out handy? Are you on a "diet?" Soon we will be in Bathing Suit Season. Are you ready? I lost "Half My Size" eight years ago by using natural methods. No tricks, just doing a bit better every day. I started on October 10 one year, and did not give up. Four years later, on October 5th, there I was - thin and healthy for the first time in my life. You can do it too! I agree! I hope these ideas work for you and they should if you work them! I'm tagging you here because you commented on my last minnow tips posts or seem to be someone who would be interested in these tips. Please take a look at this one too, or let me know to stop tagging you. Following along. Learning and growing thanks to you, my friend. Yes, this is a great place to post. Be sure and look at my tutorials and be consistent for best results. Yup mam thanku once again ...and how many entries we can submit for one contest? 1 per day and three per contest. The same restaurant no more than each 30 days. Although some I won't use - some programs she is English, can't be translated, I can't read English - like Discord server . But many are useful , very helpful! 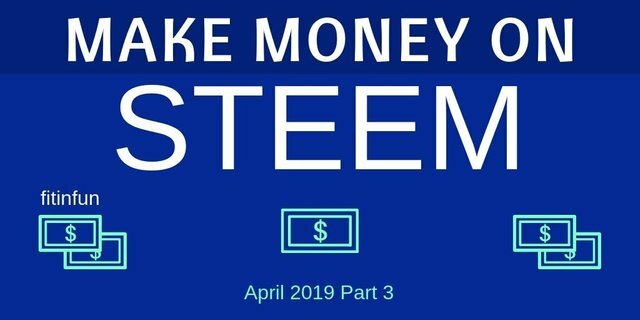 On steemit , seem no @stemmbasicimcome ! It seem is @steembasicincome ! Useful tips: well done, @fitinfun! Resteemed because it deserves it! Thank you so much, @amico. I really appreciate your help spreading the word. We need our babies to grow on STEEM. Well I do like the upvotes from esteem. But just like the busy upvotes they height of the upvote depend on the vests which are following you. So in the beginning those really are peanuts but they do increase as long as your follower base increases! Maybe the best starting point is actifit and of course dpoll, which also gives an upvote when you do use their service! You have a misconception about esteem, @fullcoverbetting. That one is manually curated and they do not seem to do the vest idea. I think it might matter how often you use them. I see small accounts getting the same level of vote I get with over 5000 followers. Dpoll I have not tried yet, but it is next on my list. 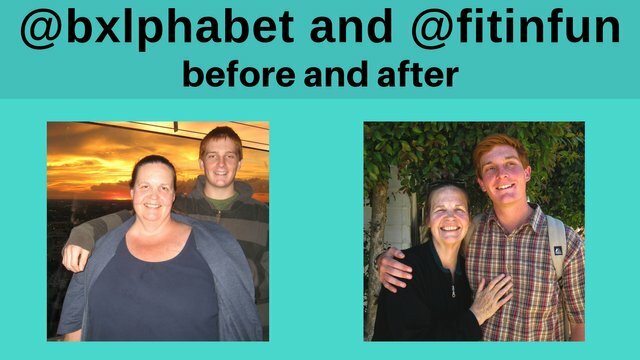 Actifit needs a phone and the ability to walk 5000 steps a day which not everyone can do. Right about the actifit part. But if one can walk let's say 2 or 3 times a week the 5K steps, it is a good start! For sure that esteem doesn't upvote all post, here it is at a ratio of 50%. But I do believe that it still is correlated with the vest which are following you. You can see if their busy upvote is also bigger. In my case, I cannot walk at all, or use a phone, so actifit is out of the question. I still don't agree with your idea about esteem. I follow small accounts that I see get the vote ll the time. But busy is definitely another issue and why I do not recommend then for new accounts. Sorry to hear that @fitifun. I didn’t know that. Very curious why you wouldn’t recommend busy. I don’t see any strings attached to it. But one has to be careful with the option of beneficiary rewards. Just like you trying to have more intel about all the different dapps on Steem. I like busy and use it, but there is no benefit for a new account with few followers. I will have it in an "advanced" post in this series. I don't care about the beneficiary reward since most dapps take them. But for an account with 100 tiny followers, they will not get a busy vote and that is what I am trying to help them find in these tips. I will also have a post coming up about how to get more followers, as difficult as that is lol. I'm glad I got mentioned here. There is always something to learn each day and I am awed by your contents. Keep it up and thanks for include me. Glad to help, @robmojo. Just keep posting good content and interacting, and you will succeed! as always, you’ve been so helpful! Thank you! I did not even know about it until well into this journey. So many people do not who could benefit. I really liked this post ... It is altruistic to find and motivate new people in steemit. @fitinfun, Really effective advices and hopefully it will reach to more and more new people so that they can take advantage of it. Keep up the good work and stay blessed. It is cool that you provide tricks for people to get upvotes and growth their account. Thank you for sharing these tips. Reading this post I became interested to know more about the esteem app. Maybe I will start using it. It's a good one if you have good posts, @discernente. They manually curate. You need 100+ words with something to say and you will probably be in. @fitinfun has set 2.000 STEEM bounty on this post! I strongly believe in your advice. Your UA account score is currently 4.925 which ranks you at #1237 across all Steem accounts. Your rank has improved 5 places in the last three days (old rank 1242). In our last Algorithmic Curation Round, consisting of 227 contributions, your post is ranked at #54. You received more than 100000 upvotes. Your next target is to reach 110000 upvotes.